The effects of La addition on the inclusions, microstructures, and high-temperature mechanical properties of as-cast FeCrAl alloys were investigated by using scanning electron microscope (SEM), energy disperse spectroscopy (EDS), and hot tensile tests. 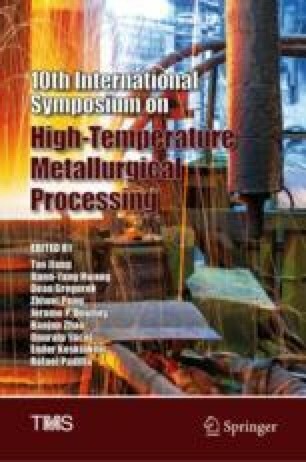 The characteristics of inclusions were examined, and further discussions focused on the analysis of thermodynamic calculations. The results showed that after La addition, AlN inclusions were likely to have cores of La-containing particles. Under the conditions of this study, La2O2S and La2O3 inclusions were the main La-containing precipitates and could act as the nucleus for the heterogeneous nucleation of δ-Fe to refine grains. The microstructure comparison of the two studied alloy ingots indicated that both the columnar and the equiaxed grains were refined after La addition. A series of tensile tests were carried out at temperatures from 973 to 1673 K under a constant strain rate of 1 × 10−3 s−1 to investigate the high-temperature mechanical properties. Both the tensile stress and the hot ductility were improved at the studied temperatures after La addition. The authors gratefully acknowledge the financial support of this research by the National Science Foundation of China (Grant No 51374023).